Over the years, Wheeler Material Handling has been honored to be recognized by a number of outside organizations for our outstanding performance as a Yale dealer and overall company. Wheeler Material Handling has been fortunate to win the Yale Dealer of Excellence award six times – as well as the Yale Dealer of Value award four times since 1988. 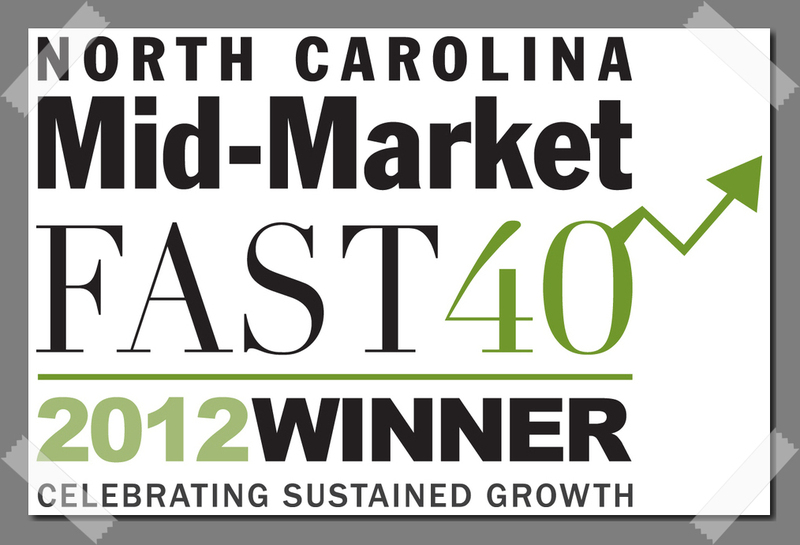 In addition, Business North Carolina magazine named Wheeler Material Handling in the “Fast 40” top companies for 2012, where we finished #26 of the fastest growing mid-size companies in North Carolina. WMH previously won the “Fast 50” award in 1994 from the same organization. Ernst & Young awarded us their “Entrepreneur of the Year” award in 2012 recognizing top companies in the southeast. WMH recognizes that the outside recognition for our outstanding market performance is a direct result of our customers, our 200+ associates we employ, and our supplier base. We are grateful for the support and understand that we have to continue to earn your business and trust every day. Scroll down for recent articles sharing our success. GREENVILLE, N.C. (April 20, 2018) In recognition of its top performing dealers, Yale Materials Handling Corporation announces its 2017 Dealer of Excellence award recipients. Yale? dealers play a critical role in driving maximum value for end-users through their materials handling expertise and responsive support. This award honors their leadership and commitment to the highest levels of performance in all functional areas of their dealership. Winning dealers must meet rigorous operating standards and performance criteria, exhibiting a commitment to quality in customer satisfaction, new unit sales, aftermarket, service, rental, engineered products, training and general management. Yale reassesses program requirements annually to ensure standards keep pace with evolving industry demands. The Yale Dealer of Excellence award recipients were honored with a special celebration on April 20, 2018 at The Cloister Resort in Sea Island, Georgia. 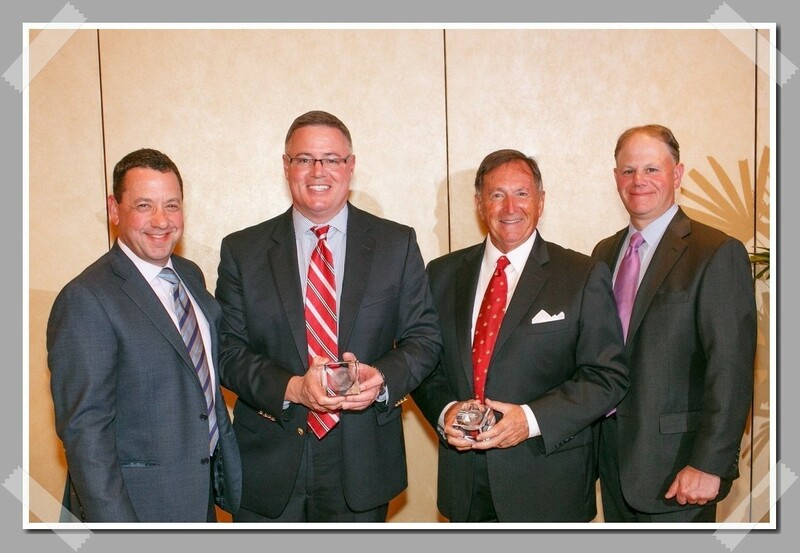 This marks the 24th year that Yale has honored its highest performing dealers with the Dealer of Excellence awards. Pictured (left to right) – David Furman, President of Sales & Marketing – Hyster-Yale Group, Scott A. Moe, President – Wheeler Material Handling, Joseph G. Wheeler, Chairman -Wheeler Material Handling, Bob Sattler – Vice President of Dealer Development – Hyster-Yale Group. 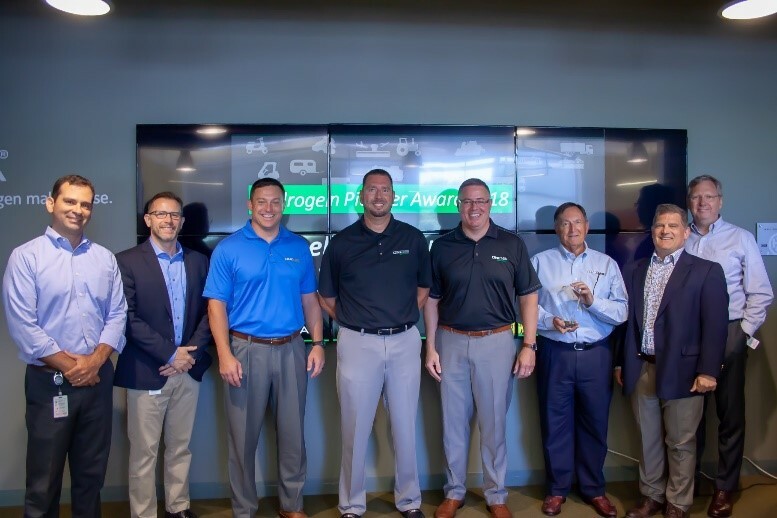 Nuvera is proud to present its Hydrogen Pioneer Award of 2018 to Wheeler Material Handling (WMH)! This award denotes exceptional work in selling Nuvera’s hydrogen fuel cell products, and a valuable relationship sure to flourish. Nuvera is proud to work with WMH as a fellow member of the Hyster-Yale team. Years ago, WMH had a vision for zero emissions technology and the role it could play in this exciting new future. This vision was a motivating factor for them to work alongside Nuvera and Hyster-Yale in introducing hydrogen fuel cells to the market. Because of this commitment, WMH has become an important strategic partner in helping Nuvera realize our goals in bringing fuel cells to market. Their work demonstrates a desire to build the industry and achieve market wide adoption of fuel cell technology. Scott Moe, WHM President, commented “We’re very honored by the award from Nuvera! It’s exciting to see the transformation to a hydrogen economy!”. WMH, an authorized Yale® dealer, was founded in 1988 as Yale Carolinas, Inc. Based in Charlotte, North Carolina, WMH has ten branches throughout the Southeast serving South Carolina, North Carolina, Virginia, Tennessee, Georgia, and Alabama. WMH offers Yale® forklift sales, leasing, parts, service, and fleet management for materials handling equipment. Yale lift trucks and Nuvera hydrogen fuel cells are a few of many top quality products offered by WMH. Their focus has always been to provide top quality products and exceptional customer service. We are proud to have Nuvera® fuel cells included in their line of product offerings meant to deliver unique material handling solutions to help customers increase productivity, reduce their carbon footprint, and reduce their overall material handling costs.